Child safety is becoming ever increasingly important. With auto accidents being the number one cause of child death in the country it’s no laughing matter, nor be taken lightly. Responsibility- Did you know that in the state of Washington, the driver is responsible for making sure everyone in the car is properly secured? Infants- infants ages 0-12 months must ride in a rear facing car seats until they have reached 1-2 years old and/or at least 30-35 lbs. Toddlers- Once children are over one year old and at least 30 lbs they can sit in the car seat forward facing. Preschoolers- This age group ranges from 3-5 years old who have outgrown their car seat. Once they outgrow the limits of their car seat they can upgrade to a booster seat. Youth- Youth ages 6 to 16 years must abide by the laws associated with their age and height group. For example, children may not ride in the car without a booster seat until they have reached age eight or 4’9”. Once they reach these limits a “seat belt test” can be used to determine if they are ready. This can be found on the Washington DMV website www.dol.wa.gov . 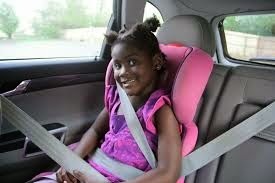 After the child has reached age 16 or older they fall under normal Washington seat belt and safety laws. We hope you found this educational. At the very least, a reminder of the laws that prevail in our great state regarding child safety and what you can do to keep your loved ones as safe as possible. When it comes to finding the best new and used cars Tacoma has to offer look no further than the Olympia Auto Mall. We have one thing in mind, to give you the very best value on new and used cars and truck in the great state of Washington.